With their latest slot Durga being a success for them, Endorphina launched another slot on Friday called Little Panda. It is quite a departure from Durga in the sense that it makes use of more traditional slot features but still turning other familiar elements on their head. The star of the show here is of course the Little Panda. While you hunt treasure he will be hunting bamboo shoots. The reel action takes place in a lush green forest or in a mystical grove, depending on which game mode is active. Just as with Durga, the graphics here can be very beautiful. The reel icons include a variety of forest creatures and plants. The lower value playing card icons are made of bamboo here. 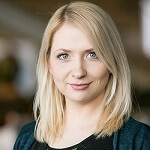 When it comes to additional features Little Panda will not disappoint either as there are ample bonuses to unlock. Even though the reels are quite big, being arranged in a 5×4 design, the use of betways instead of paylines still makes the game rewarding with its 96% RTP. There are 1024 betways here so you won’t have to be too lucky to register a few wins. Wagers as high as 400 can be made on each spin and Little Panda can be played on Smartphones, tablets and computers. 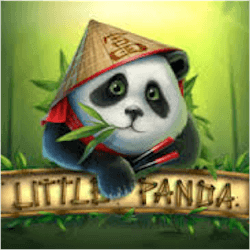 Little Panda grants its players up to 20 free spins thanks to the Yin Yang scatter icon. Between 3 and 5 scatter icons are need to enter the special free spins round that takes place in a magical grove. When this feature is active, players can win 5 extra spins if 2 additional scatter icons land on the reels while the spins are under way. Additionally during the free spins round, any wilds that appear on reels 2, 3 and 4 can apply an either 2x or 3x multiplier to any wins you form. To make this slot more attractive, Endorphina have also included wilds and a Gamble feature. The wild icon acts purely as a substitute symbol. It appears in the middle reels and as discussed their real value comes out during the Free Spins feature. The gamble feature allows players to quickly double their winnings with an additional wager on cards which offer 50/50 odds. While fans still would love to see more features from Endorphina and their games, Little Panda definitely delivers an exciting slot experience. The graphics and soundtrack alone makes it well worth a try.